Ever since Taiwan has waived its visa requirement for Filipinos, the state has become a top must-visit for foodophiles, culture lovers, and basically all of us who love a good, quick vacation. However, whenever we think of Taiwan, its main city, Taipei is always the first one that springs to mind. 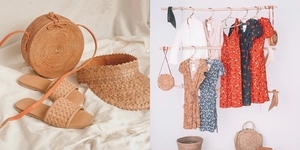 But while the capital definitely deserves the attention with its perfect mix of metropolitan lifestyle, shopping finds, and cultural sites, there is so much more to this state than just this city. If you really want to experience the entirety of Taiwan's culture and food, go and wander into the following places outside of the capital. Go on a trip into this quaint little village in the municipality of Taichung if you want to flood your social feed with double-tap worthy snaps. The village is actually just a small block of houses painted with various graffiti made by former soldier Huang Yung-Fu (also known as Rainbow Grandpa), but it attracts as much visitors as other hotspots in the city because of its quirky ambiance. There is an interesting story behind the transformation of the neighborhood into an art haven, too. After many houses in the village became dilapidated, developers started buying the land and offered the residents compensation to build more modern structures. Rainbow Grandpa, who considered the place his home, however, refused to move and started painting the houses with his art. University students in the area started noticing his work and campaigned for it until the place became so popular to others that even tourists started flooding the place. 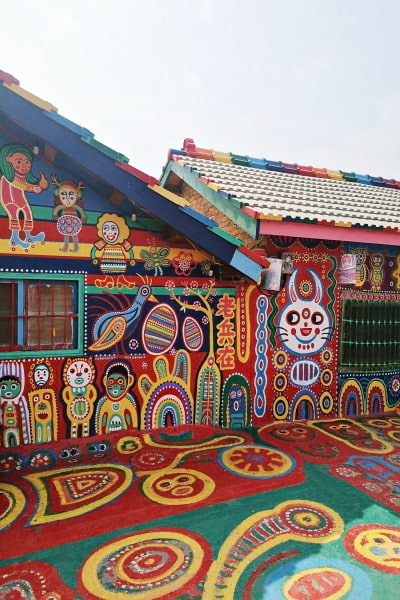 Rainbow Village is now considered one of the top cultural spots in Taichung and is visited by millions of visitors every year. 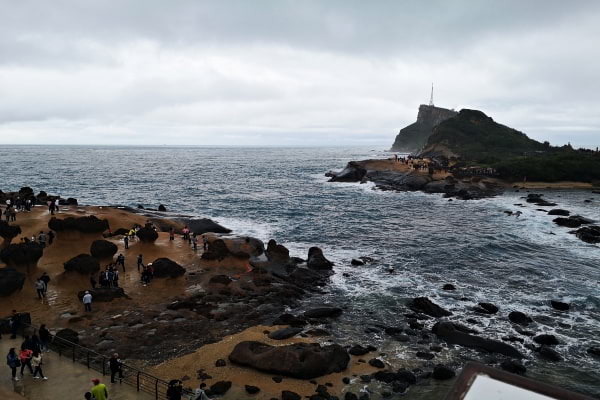 If you don’t want to stray too far from Taipei but would like to be closer to nature, head to Yehliu Geopark in the north coast of Taiwan. It’s only an hour or two bus drive from Taipei but there is a distinct difference between the geography and the weather! This must-visit place features unique honeycomb geological formations shaped by nature and offers a wonderful view of the country’s coast. Look for the infamous “Queen’s Head” or the aptly-named “Fairy Shoe” or “Kissing Rocks” when you visit. Hot tip: wear the right clothing, meaning sensible shoes and coats. The place almost constantly experiences drizzles and light rain showers and the last thing you need is to slip on these amazing rock formations while you're enjoying your tour. This dessert shop is the exact place you should be if you love ice cream AND Harry Potter. 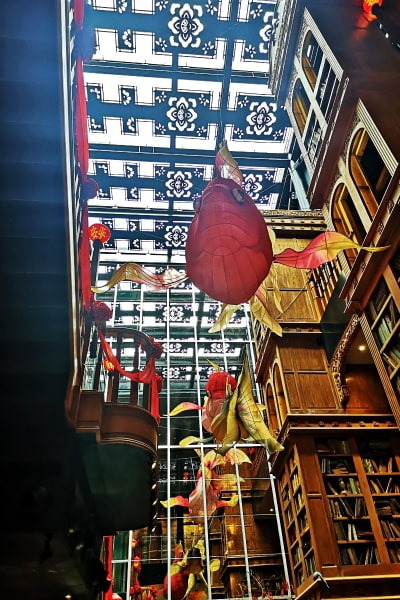 With its high ceilings and glossy, ornate fixtures, it isn’t hard to imagine yourself walking in one of the great libraries of Hogwarts or shopping at Flourish & Botts when you drop by for a visit. Instead of magical books, however, you can buy some of the most popular sweets in Taiwan, like pineapple cakes and of course, ice cream! 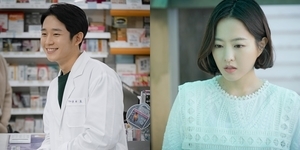 The building is actually a former eye hospital built by the Japanese before it was turned into the ice cream shop it is now, having been restored after it was partially destroyed by the 921 earthquakes. The treats the shop sells are a little on the pricier side, but if you just want to appreciate the interiors and take a few snaps, you can just breeze in inside too. Just make sure to be respectful and not be a bother to the people working there and their customers! 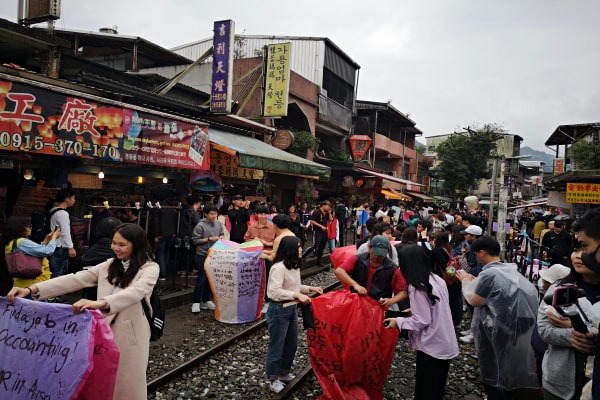 You can’t really say that you’ve experienced the best of Taiwan’s culture without writing your wishes on a Chinese lantern and letting it float into the sky at Pingxi Old Street. Found in North Taiwan, the old street is part of the Pingxi area and is located near the Pingxi railway station. A collection of shops selling souvenirs, paper lanterns, and food fringe the small stretch of the street, but you can spend a good one to two hours here just admiring the culture and people-watching in general. The tradition of writing your wishes on the lanterns is almost ceremonial too—you can choose how many wishes (love, family, career, and money are each assigned different colors) you want to have before you write on and decorate your lantern whichever way you want. The place where you fly the lanterns is actually a working railway station so pay attention to the bell rings signaling that the train is about to come! If there’s one thing you should know about Taiwan, it’s a place that knows its art AND pop culture. If you grew up watching 90s anime, then Anime Lane is one place you should definitely include in your itinerary. 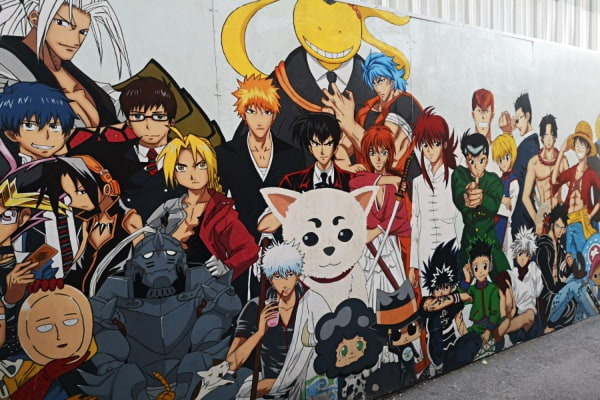 Found in Linsen Road, Taichung, the spot—which is also known as Painted Animation Lane – is a stretch of neighborhood with walls colorfully painted with popular anime characters. The property may just be comprised of a number of houses, but what this place lacks in the square area, it compensates with the detailed iterations of each artwork. Each cartoon graffiti is so well-done, you would think the original creators drew them! The place doesn’t get as much attention as the other more popular spots in the neighborhood so you can also take photos peacefully. 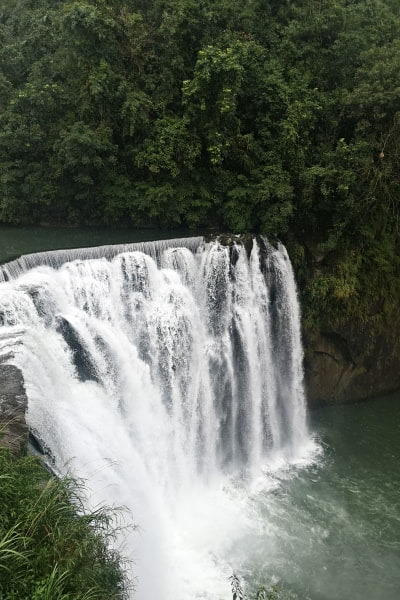 Though it may not seem that big and expansive in real life, the Shifen Waterfall, which is also located in the Pingxi District of North Taiwan, actually holds the record of being the broadest waterfall in the country at 20 meters height and 40 meters width. Taking photos with the waterfall as a backdrop can be quite tricky since the place seems to experience constant drizzles and strong winds, but it's still worth a visit if you just want to appreciate something a little bit closer to nature. If you really want something for your feed, there are a few places where you can also take pretty snaps, like the bronze statues you can find on the way to the waterfall or the view at the hanging bridge you have to cross to get to the big ticket scenery. 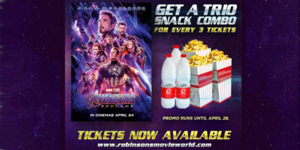 There is also a mini market close to the path leading to the waterfall so you can have a quick snack there if ever you get hungry. If you happened to check out several souvenir shops in Taiwan, you’ll notice the country’s love and obsession towards Japanese animator and filmmaker Hayao Miyazaki’s legendary works. The Totoro Bus Stop, though literally just a small stop tucked on the side of the road, is proof to this. 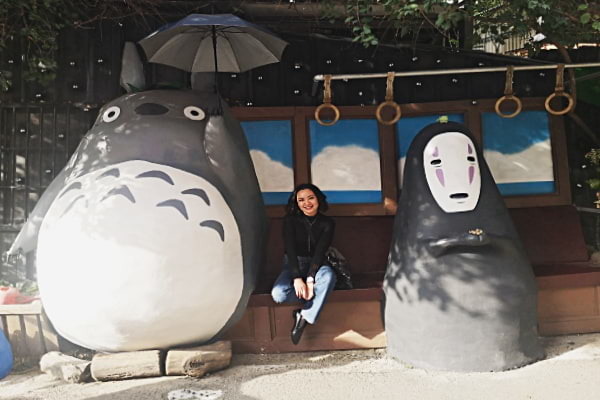 The spot, which stands next to interior design and furniture shop, has been attracting locals and tourists alike for its on-point execution of Miyazaki’s beloved characters like No Face from Spirited Away and Totoro from My Neighbor Totoro. The set-up is supposedly created by the owner of the interior design place out of his love for the movies. There’s definitely more to his favorites than just Miyazaki's works though because just beside the bus stop is a Platform 9 ¾ setup from the Harry Potter movies and an ongoing construction mimicking one of the magical shops from the Wizarding World. You can spend a good half an hour here just fangirling over these cultural tributes! Taiwan loves Hayao Miyazaki and it seems like the Japanese genius also returns the adoration! 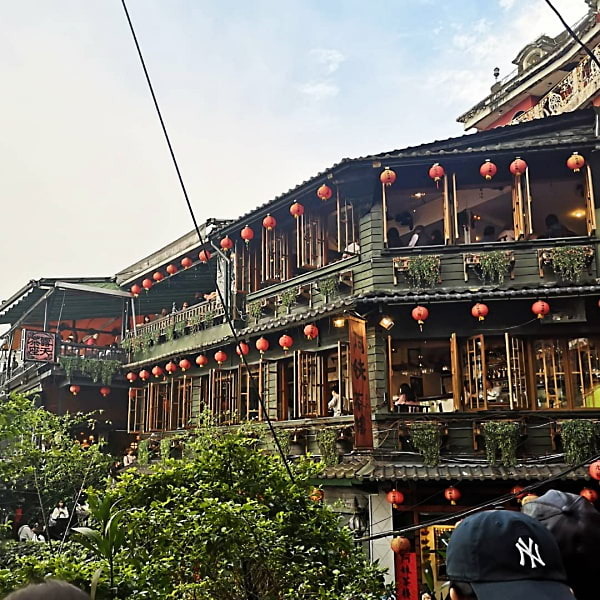 Found in Jiufen Old Street is the hundred-year-old A Mei Teahouse which supposedly inspired some of the visuals used in Miyazaki's film Spirited Away. But there is more to this small mountain town other than this infamous structure. Jiufen is actually a cloister of shops selling souvenirs and some of Taiwan's most in popular treats. The town also houses Shengping Theater which is one of the country's oldest theatres during the earlier decades. Don't forget to buy some nougats and pineapple cakes during your trek to this place! Which of these destinations are you most excited to visit? Sound off in the comments section!